How to discipline a bad attitude. I believe as parents today, we can really waffle on the idea of correcting or disciplining for attitude. No one likes to have a child roll their eyes or grumble whenever an instruction is given. We don’t even like it if the bad attitude ensues while the child carries out the instruction. However, we are also told to allow our children to feel emotions and to not suppress them. We don’t want to raise emotionally dysfunctional people, so we freeze a bit and think, “Should I allow my child to express these emotions? Should I discipline for feeling these emotions? Should I just be glad my child is doing what I asked, even if she is doing it grudgingly?” Let’s discuss. Shouldn’t We Allow Children to Feel Emotions? First, let’s be clear here. Your child’s attitude toward life and your child’s emotions aren’t necessarily the same thing. We are exploring disciplining for attitude. So say you ask your child to pick up the family room. She does it, but stomps around in anger the entire time. This is different from her coming home from school upset because she had a fight with her friend. We need to help our children learn how to respond to emotions correctly. This is why we discipline for attitude. The emotion is not the problem, it is our response to the emotion that is the problem. As adults, we still feel strong emotional reactions to situations. Most adults are able to work through a situation and respond in a mature fashion without having an emotional outburst (unfortunately not all). It isn’t about burying nor suppressing emotions. It is about handling emotions in a mature fashion. What Do you Mean by Discipline/Correct? To discipline, according to the my New Oxford American Dictionary, is to punish to correct bad behavior or disobedience. That is the connotation and denotation today. The word discipline originated, according to the dictionary, from Latin and meant “instruction or knowledge.” This is the way I tend to look at discipline. Yes, there are at times punishments or consequences that happen, but I start at the root of the word with instruction and knowledge for the child. Sometimes as you correct or discipline your child, you will be teaching and imparting knowledge on your child as to why the behavior was not okay and what would have been the right choice. 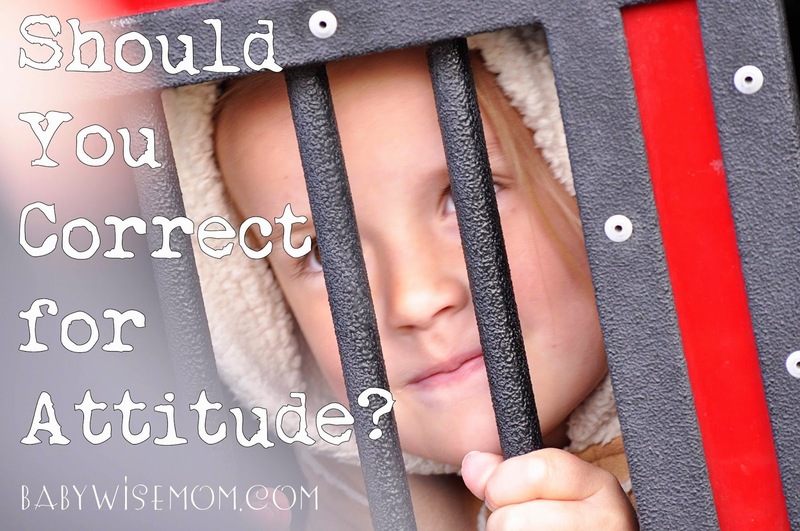 Sometimes, you will be giving time outs to allow your child time to chill out and get the attitude in check. Sometimes you might be removing privileges for the way your child reacted to something. Sometimes, there will be punishments involved. Why Do I Want to Correct Attitude? I have no doubt that there is a sizable portion of the population out there that will disagree with me and say you should never do any correcting nor disciplining over attitude. I am not in that camp. I do think it should be done. I have thought at length about it over the years. I do want my children to be okay with their emotions and I do want them to face emotions rather than bury them. I do think you can maintain both emotional health and controlling emotions. As I quoted above, it isn’t the emotion that is the problem, but the response to the emotion that is the problem. I value a good attitude. I do. I think there is a lot of power in being an optimistic and positive person. Guess what? Life can be hard. Life will be hard. Not everything that you face in life is fair or just. Sometimes, bad things happen to good people. Sometimes other people are mean. Sometimes people abuse authority. Bad and hard things happen to ALL OF US. 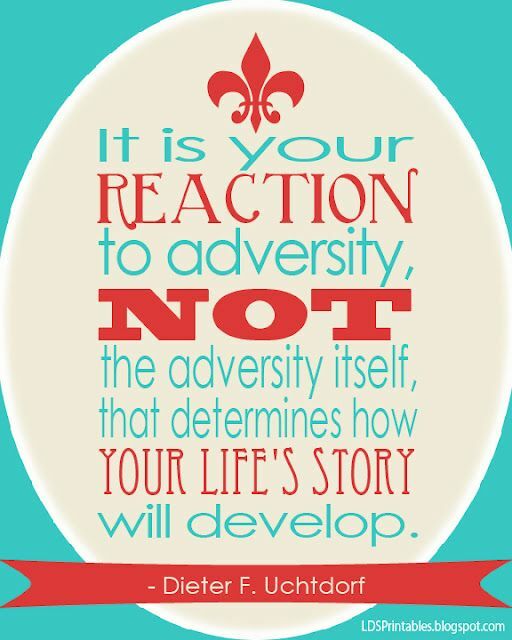 Our character is based on how we respond to the trials, not which trials we face. I value the ability to have a good attitude even in the face of adversity. 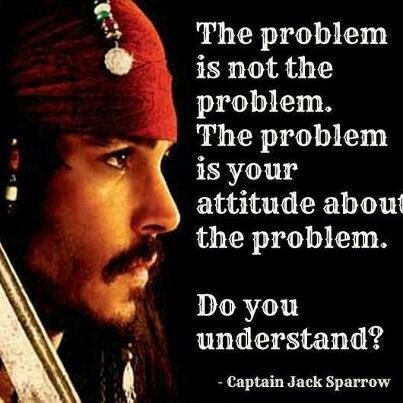 That is one reason I want to correct attitude. I want my children to learn that they can control their attitudes. Ask yourself if you want your children to be able to have a positive outlook in the face of negative things going on around them. I believe we can and should learn the right way to respond. We aren’t animals–and even if you wanted to argue that we are merely animals, animals can be taught to control their actions. If a dog can do it, your child can do it. I also believe that people who learn to have a good attitude are happier, more successful adults. 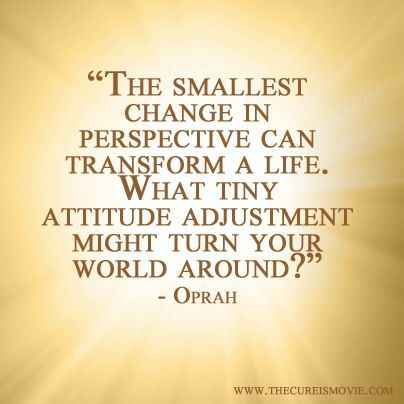 Do you like to be around people with good attitudes or bad attitudes? How Can I Correct For Attitude? I will brush on this here a bit. You don’t want to raise children who are adults who ignore their emotions in order to deal with them. It isn’t about not having emotions. You can raise children who have even tempered emotions. It will be more natural for some than others, but you don’t have to get your feelings hurt over everything. Not everything requires a strong emotional response in life. You can look for the good in others and assume the best about other people’s intentions. When your child has a bad attitude and your are correcting or even punishing for it, make it clear that the emotion is not the problem, but the way your child chose to act when feeling that emotion. Some people have a shorter fuse than others, but that doesn’t mean those with short fuses get to run around being jerks to everyone. If you have a child who tends to be pessimistic, work with that child to see the good in life. We have a child who is naturally pessimistic and one who is the extreme opposite and endlessly optimistic. I get that there is a natural disposition to work with. 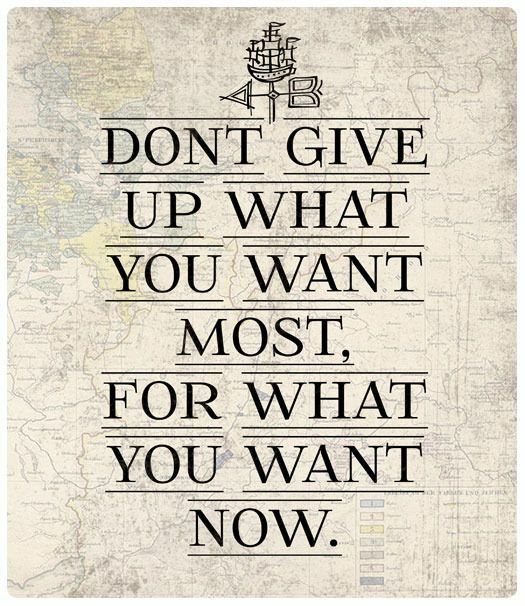 Work on it! You can make headway and your child can learn to see things in a positive light. As in all things, always remember the power of your example. See also More is Caught Than Taught, It Starts With You, and Be a Good Sheep. If you are positive and have a good attitude, your children will have an easier time doing the same. I am a very, very chill person. My dad is the same way. His dad is the same way. His dad was the same way…I have generations of people who were highly defined in their histories by their calm, relaxed, positive demeanor. Is there something in our genetics? I don’t know. I believe a strong part of it is that we had a parent who was an example to us. See You Teach What You Are. And always remember to use Encouragement as Discipline. With little ones, you can often prevent a tantrum from happening by your attitude. Last night when we told Brinley it was time to come inside for bedtime, she screamed, “No!” and started to whimper and back up. I threw my hands in the air and declared, “Yay! Bedtime hurray I love bedtime!” and started running (toddler speed) to the house. She followed me, cheering all the way in. You have a powerful influence over the way your children respond to situations. When choosing consequences for poor behavior, look to logical and natural consequences. Maybe your child needs some time alone. Maybe your child needs to have a break from a fun activity if a huge fit was thrown when it was time to end (when Brayden, now 9, was 3, he played Mario Kart for his first time. When I told him it was time to turn it off, he got mad and threw the controller on the ground. He lost the privilege to play for a week. He was literally on his knees, hands clasped together pleading to not have the punishment. The punishment stuck, and he has never thrown a controller again to this day). If your child has a bad attitude about the length of his chore list, maybe he needs a longer one. Sometimes, it will be appropriate to simply talk about why a behavior was not okay. This is especially true when your child gets to be school-aged. With initial offenses, you can often talk about why it wasn’t okay and the moral and social implications. You can talk about why it is important to have a good attitude and that it might be something to work on. Teach your children that if they feel themselves starting to lose control, they can remove themselves a regain control. You can do hand-folding or going to a space alone for a time. Sometimes we need to remove ourselves from situations or channel our energy elsewhere. See Hand Folding: Establishing Self-Control. And remember, Actions Precede Beliefs, so that is why requiring, “Yes Mom” is a great tool for having a good attitude. I have even required, “Yes Mommy, I would love to!” if they are started to be grumpy. Sometimes saying they would love to do something is so ridiculous that it makes them giggle and their mood is changed. I hope I have convinced you that it is okay to correct and even discipline for attitude. You can be a positive person who is still emotionally healthy. Being positive in our attitude isn’t necessarily something that comes naturally to all of us. What a gift you will give your children if they are able to be positive adults! What a gift to society! What a gift to your future grandchildren! It is worth the effort.